Add Index Primer Set 2 (iDeal Library Preparation Kit x24) to my shopping cart. The Index Primer Set 2 (iDeal Library Preparation Kit x24) contains an additional set of 12 indexes to be used in combination with the iDeal Library Preparation kit. The iDeal Library Preparation kit reliably converts DNA into indexed libraries for next-generation sequencing, with input amounts down to 1 ng. Our kit offers a simple and fast workflow, high yields, and ready-to-sequence DNA on the Illumina platform. Combine this kit with our iDeal ChIP-seq kit for optimal ChIP-seq results. For library preparation of DNA inputs down to 50 pg, our MicroPlex Library Preparation kit is an optimal choice. 5 ng of input DNA were used for each library prep. A. E. 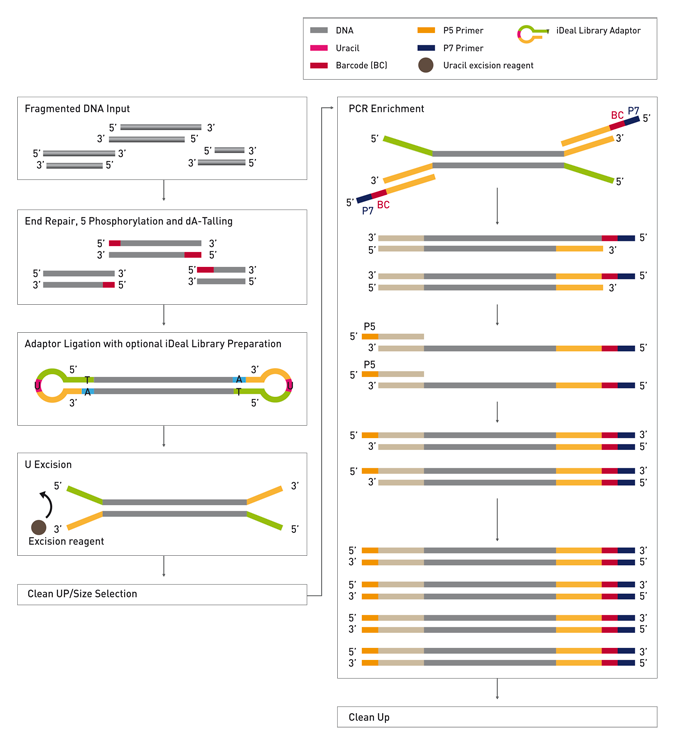 coli genomic DNA libraries. 1: Ladder; 2: Library prepared using iDeal Library Preparation™ Kit. B. FFPE sample. 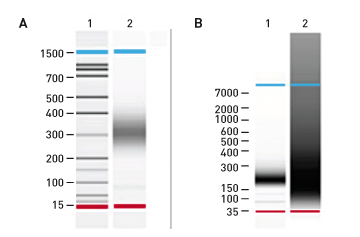 Human lung tumor genomic DNA 1: Library prepared using the iDeal Library Preparation™ Kit). 2: Input DNA (degraded FFPE genomic DNA). Diagenode strongly recommends using this:	Index Primer Set 2 (iDeal Library Preparation Kit x24) (Diagenode Cat# C05010021). Click here to copy to clipboard.